What is included when you book a Birthday Party with us in Keller, Flower Mound, or McKinney? Two HUGE water slides! 92 degree water! Fun atmosphere! AquaKids will provide more fun with pool toys including: rings, & noodles! 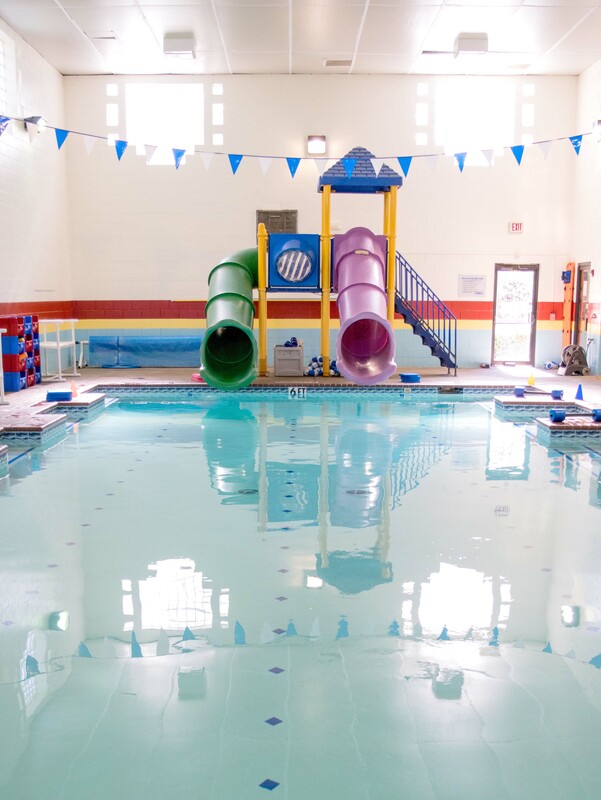 You and your guests will receive 1 hour and 15 minutes of private swimming time followed by 45 minutes in our party room. Each Birthday Party room is equipped with (3) 6ft tables and chairs for your guests. As the party host, you will bring food and snacks for your guests. Two lifeguards are provided to host you and your guests during your Birthday Party. If you have 30+ swimmers, a third lifeguard will be required at an additional $25. Free customizable party invite, provided below, for you to download in PDF and share with your guests. 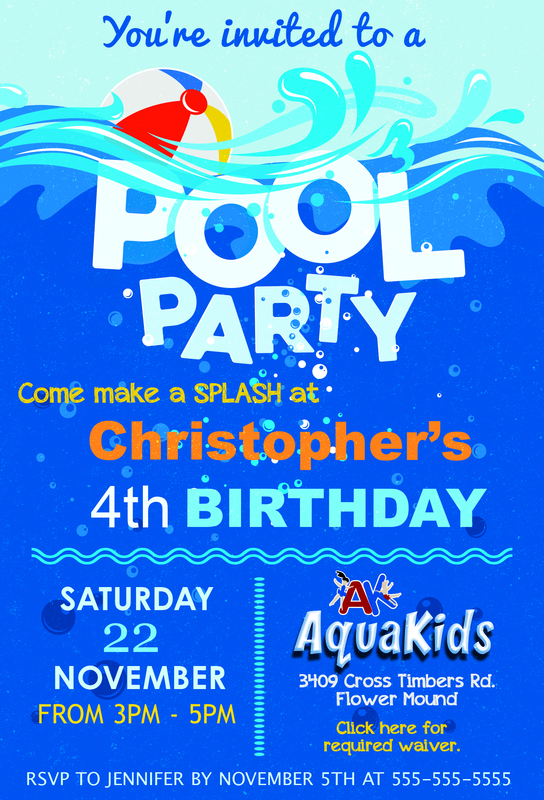 AquaKids Rental Agreement is required within 3 days of reserving a party. Full payment is due at time of registration and rental fees are non-refundable. Attending a party as a guest? Please fill out required participation waiver before the party. This waiver can be found here. 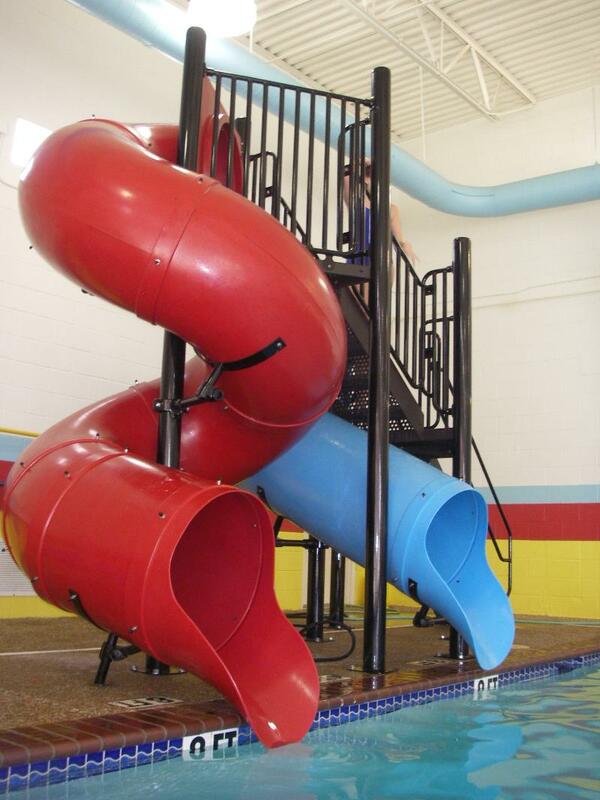 Most importantly, enjoy the large tube slides, warm water, and have fun! Download your customizable party invite! This download includes link to AK location page with map & virtual google tour for your guests. This party invite also includes a link to the required participation waiver for your guests to fill our in adance of your party. No wait time filling out paper work! Click here for a printable Birthday Party flyer in PDF format.